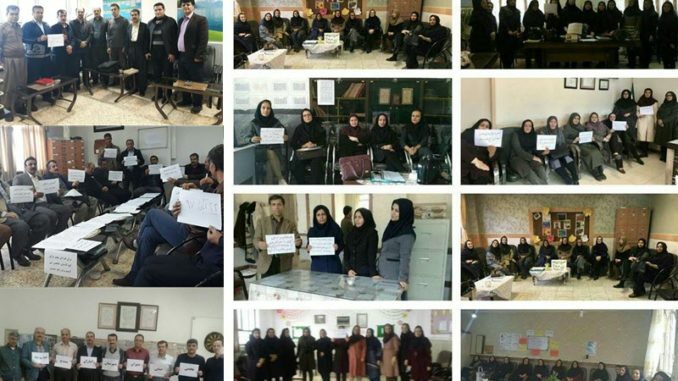 On Tuesday, November 13, Iranian teachers staged sit-ins in schools and refused to run school classes to protest against the suppression and imprisonment of teachers, the deteriorating situation of livelihoods, the uncontrolled inflation and the decline in purchasing power. The teachers are calling for elimination of discrimination against working and retired educators. The strike comes at a time when the repressive forces are trying to intimidate them by arresting and summoning teachers and issuing various threats after last month’s nationwide sit-in protest on October 14 and 15 by the teachers and educators. According to a Statement by the National Council of Resistance of Iran (NCRI), this nationwide protest movement took place in Tehran and a number of other cities including Isfahan, Ahvaz, Kermanshah, Karaj, Ilam, Ardebil, Baneh, Saqez, Jolfa, Babol, Sari, Shahriar, Yazd, Karaj, Marivan, Ivan West, Hamedan, Sanandaj, Shahrekord, Chaboksar, Shiraz, Lamerd, Homayounshahr, Saveh, Jam Township, Bushehr and other cities. 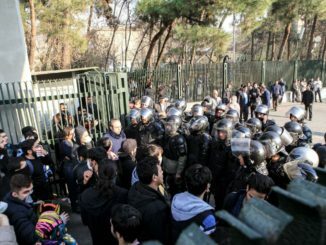 In many cities, such as Marivan, Divandareh, Sanandaj, Shiraz and Isfahan, students joined the teachers’ strike to support them. In Sanandaj, parents also supported the teachers’ strike. 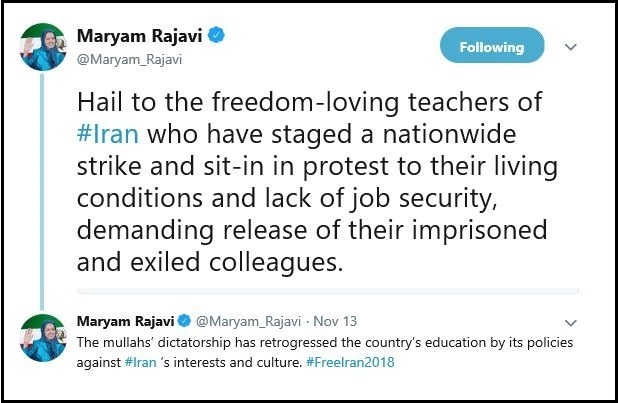 The Iranian Resistance President-elect, Maryam Rajavi, saluted the protesting teachers and educators who have gone on sit-ins in order to secure their rights. She called on the frustrated public, especially the youth, to express solidarity with the teachers. “Anti-cultural and anti-Iranian dictatorship of the mullahs has destroyed culture and education. The catastrophic situation of working and retired teachers is a product of the plundering and repressive policies of the anti-cultural clerical regime, and it becomes worse as long as this regime is in power. A regime that has only brought torture and execution, war and terrorism, poverty, unemployment, corruption and plundering for the people of Iran,” Mrs. Rajavi said.